UK Decay :: View topic - Where are the 'LU7 Punks' now? Where are the 'LU7 Punks' now? UK Decay Forum Index -> FRIENDS! Post your profiles here! That photo isn't really battery park, i wouldn't insult them. Mr. DaCosta is on the left with his guitar, other than that it's Tim Young, Me and Bonzai. The Dacosta's and battery Park were great, and never seemed to mind us pinching the mike for the odd song at their gigs. I think we were singing along to The First Time, by The Boys, i think the only cover they used to do. That's cleared that one up then..... J x. 'State of Shock!' Hi Julian! 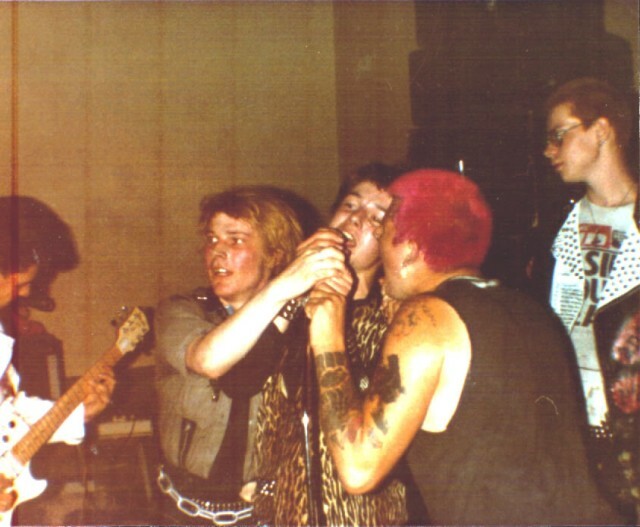 WANTED: More photos of notorious 'LU7 Punx'!!! 'State of Shock' and 'Battery Park' complete with Skinheads invasion! 'Battery Park' -invaded by Skins! And heres Mr J.W. himself in a Milton Keynes Flat! of the Original LU7 PUNKS. Where are they now? Well, a lot of them were at The Wheatsheaf in LB last night - Ian Lee, Andy Shingler, Dave 'Iggy' Bierton, Bone,J Wolfendale,Terry Drakeley,Wiggy,Selwyn, and Clive Temple, the original drummer from the Statics, to see The Pistols. Good night had by all, photo's going on the original Lu7 Punks facebook page tomorrow. 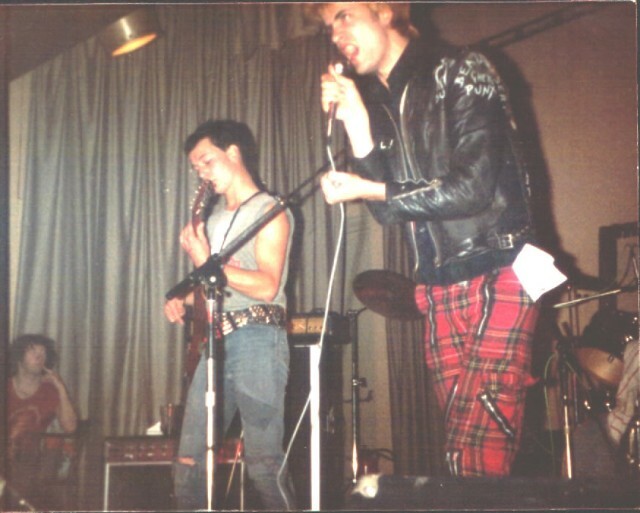 The Pistols have played there a few times now and always give a good, fun performance......J x.